Udaan: Rajjo files a FIR against Raghav. She has always supported Chakor. She asks Chakor to believe her and help her punish Raghav. Chakor gets helpless to believe her. She wants to support Rajjo in her bad times. Rajjo tells Chakor that she will help her maintain the lie in front of Anjor, Raghav will be Suraj for Anjor, but Raghav can’t be spared. Chakor and Rajjo speak to the inspector. They get to know Raghav’s crime records. Chakor finds his petty crimes and feels Raghav hasn’t done this big crime. She gets in dilemma, so that no innocent gets punished. Chakor doesn’t get convinced by Rajjo. Chakor tells Rajjo that they should take some time before accusing Raghav. She is doubtful. Rajjo tries hard to convince Chakor. Chakor assures Rajjo that she will also find the culprit, she is with her in this battle. She wants the criminal to get punished. 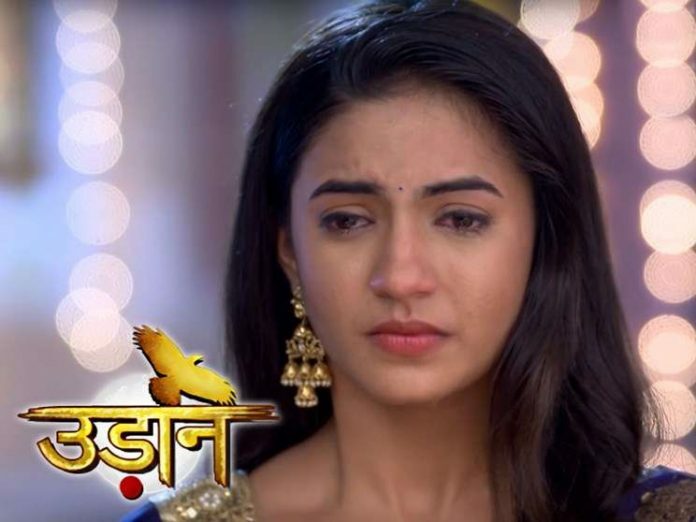 When Chakor comes home, she finds Tejaswini mourning for Suraj’s death. She asks Tejaswini not to do Suraj’s Shraddh at home, since Anjor might see this. She stops Tejaswini from completing the Shraddh rituals. She requests Tejaswini. She reminds about Anjor, who is on the way to home from the school. She asks Girja to clear up everything before Anjor comes. Tejaswini gets upset with Chakor. She sinks in the sorrow over Suraj’s loss.